We built a reputation for developing innovative, high quality products. Continuous research and development ensures that stays ahead by utilizing the latest technology to meet the ever-growing needs of a diverse car care field. 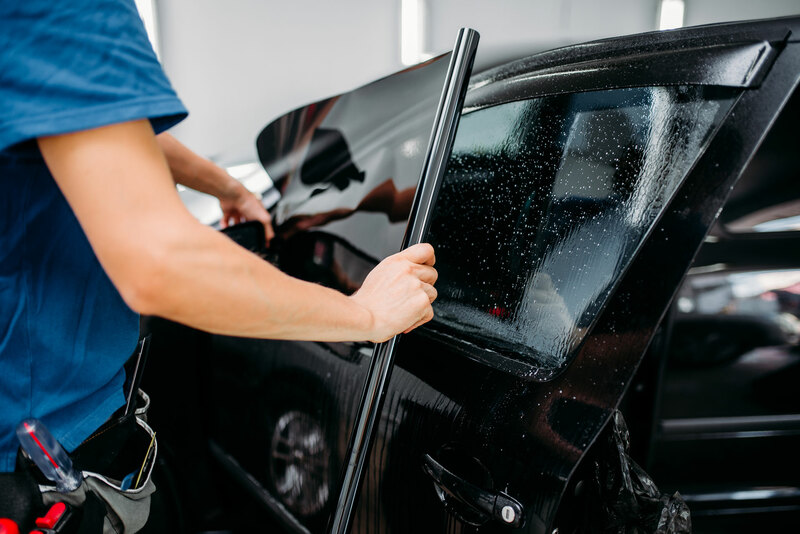 We are famous for our advanced divisions in a leading and creative concept in the field of auto care that meets all the requirements, interests of the elite. The original Quartz-based coating that put the latest advances in Nanotechnology in the hands of detailing enthusiasts, CarPro CQuartz remains at the cutting edge of automotive protection technology. CQuartz bonds to paint, glass, metal, and plastic at a molecular level, effectively becoming a functional element of the vehicle?s surface. This coating?s hard hydrophobic, glass-like finish helps to protect your vehicle from weathering, UV-damage, industrial and organic fallout, acids, alkalines, light wash-marring and abrasion for up to 2-years whilst making it easier to clean than ever before. If you find maintaining your vehicle?s beauty a challenge, it?s time to experience where the CQuartz legend began? Paired with a microfiber cutting pad Essence is capable of unexpected cutting power, while a CarPro gloss pad armed with Essence provides gloss we could only dream of until now! But this is not simply a polish? In less than the time you take to polish a car with conventional products, CarPro Essence is capable of removing swirls, building your clear coat thicker, leaving higher gloss, and laying down a semi-permanent coat of protection! Oh? and it wipes off like a dream! CarPro SkysBlu brings the familiar scent of CarPro Eraser (Squash scent) to interiors everywhere! SkysBlu Car perfume is hypoallergenic, provides a very subtle fresh scent, and comes in an attractive glass perfume bottle making it perfect for small gifts as well! Skysblu is offered in an 8ml size which we expect to last for a minimum of 3+ months in nearly all climates. You simply hang SkysBlu from the rear view mirror, clip it to the vent, or otherwise fasten it so that it is kept upright and your all set! CarPro SkysBlu perfume includes a small plastic seal beneath the wood cork, which must be removed to activate the product. Then simply screw the cork top back on and fix upright and enjoy MANY months of fresh smelling interiors! Hydro2 is a revolutionary spray-on silica sealant which combines full nanotechnology protection with a true wipe-less application. Simply spray Hydro2 on to a wet vehicle surface, rinse off, and watch the surface transform before your eyes! Adding protection and beauty to your vehicle has never been faster, or easier than this. Hydro2 is formulated with the latest Nano Glass Fiber Technology, silicon-polymers, and fluoropolymers giving it immense hydrophobicity, slickness, gloss chemical, and UV-resistance. Hydro2 can be used on its own as a sealant for all hard vehicle surfaces, or over any CQuartz coating for added protection and gloss. Advanced sanding blocks designed to aid in the removal of Random Isolated Deeper Scratches that cannot be achieved by compounding alone. When used in combination with sand paper, RID STIX ergonomic, patent-pending design, maximizes the contact between the sanding block and a vehicle panel to obtain a more consistent, even sanding mark that can be polished out quickly and easily! Remove random isolated scratches and other defects in no time! CarPro Fixer is an advanced, 1-Step polishing compound featuring a blend of Nanotechnology ingredients, and sophisticated diminishing abrasive powders. It is capable of tackling a wide variety of paintwork correction needs from the removal of P1500 wetsanding scratches, to final finishing on most vehicle paints, including soft Asian clearcoats and hard Scratch-Resistant ceramic finishes. Fixer?s rapid working cycle, and silicone/filler-free formula also ensures maximum results in a minimal amount of time with no drop-back. Blending the iron removing power of Iron-X with the tar-dissolving capabilities of Tar-X. CarPro TRIX combines your vehicle decontamination needs into a single effective product. Perfect for time-pressed DIY or professional detailers, TRIX?s pH-balanced (pH-7) formula safely dissolves both organic and inorganic fallout in 1-step; thus streamlining the detailing process and saving time and money on full details. TRIX is ideal for use on most vehicle surfaces and is a customer favorite for the rapid deep-cleaning of alloy wheels. When creating Iron-X Snow Soap, we imagined the time that could be saved by combining the iron-fallout removing power of Iron-X, with the cleaning and lubricating capabilities of an environmentally friendly surfactant. This idea formed the basis of one of the most versatile, and effective maintenance products on the market. By changing the dilution ratio Iron-X Snow Soap can be used as an iron-removing Snow Foam with a foam lance, with a mitten or sponge as a Shampoo, a Lubricant for clay and polymer decon products, or even a maintenance Wheel Cleaner. A true Multi-Purpose cleaner? “Elite Self Healing” paint protection film is a self-healing, topcoated film, which exhibits excellent stain resistance and amazing scratch resistance! This is our top of the line “Elite” paint protection film. This film utilizes an advanced top coat system designed to not only protect the vehicle against rock chips and road debris, but also against staining created by acids, abrasives and solvents – maintaining the surface of the product for longer with less regular maintenance. Elite is the industry leader when it comes to stain resistance! PremiumShield Elite is a 6.4mil (0.16mm) dual extruded urethane film with an additional 0.25mil (0.006mm) clear coated surface, with a 1.8 mil (0.05mm) clear acrylic pressure sensitive adhesive system (PSA). The film is specifically designed for the surface protection of painted, gel coated or other vulnerable surfaces improving functionality and allowing the conservation of visual appearance. The clear coat adds more durability and resistance to staining, dirt inclusions etc. maintaining the outer surface for longer periods. Much like the Elite film, standard PremiumShield protects the vehicle against rock chips and other road debris, but without the stain resistance capabilities. PremiumShield is the industry standard in paint protection film. PremiumShield is a 6.4mil (0.16mm) dual extruded urethane film coated with a 1.6 mil (0.04mm) clear acrylic pressure sensitive adhesive system (PSA). The dual extrusion sees a stiffer urethane being combined with a more flexible urethane allowing for greater longevity whilst maintain flexibility during application. The film is specifically designed for the surface protection of painted, gel coated or other vulnerable surfaces improving functionality and allowing the conservation of visual appearance for long periods. Screenwash De-Icer is a dual-purpose windscreen wash solution and de-icer, combining detergents and solvents to effectively remove stubborn grease, dirt and fly residues from windscreens. Screenwash De-Icer is a particularly versatile winter wash bottle additive, which not only prevents wash bottles freezing, but also contains non-colatile freezing point inhibitors to prevent ice build-up in the washer nozzles. Highly concentrated, Screenwash De-Icer is also an excellent de-icing solution, clearing windows of ice and snow. For de-icing screens, apply with sprayer and ice will rapidly dissipate. Power De-Icer is an aerosol, rapid action, non-smear de-icer, designed to quickly and effectively remove residues or ice and snow from vehicle windscreens and locks without re-freezing. Clear excess snow from windscreen. Spray lightly onto the windscreen and side windows melting deposits of ice and snow. Tyre Slick is the premium quality weather resistant, silicone free, solvent-based tyre dressing, designed to restore the colour, sheen and lustre of tyres, rubber floor matts, rubber and plastic surfaces. Tyre Slick is quick and easy ti apply and contains no silicone making it the perfect choice for valeting in the proximity of body shops. Unlike many non-silicone tyre treatments Tyre Slick is weather resistant. Tyre Slick can also be used to dress external plastics. The long lasting, water resistant dressing can be applied by paintbrush, hand sprayer or by sponge. For optimum results surfaces should be clean and dry. Apply using a brush, cloth, sponge or hand sprayer. Wipe or brush away excess material and allow to dry. Do not directly onto brake assemblies. Clean the tyres first and apply Tyre Slick to dry tyres for excellent coverage. Transport 1000 Plus offers the ultimate in versatility combining excellent road film and grease removal, with exceptional low cost per wash.
Pressure Washer: Use through pressure washer at 1% to 3% at the nozzle. Pre-Spray: Can be used on a pre-wet surface at 1:10. For general use dilute up to 1:50. For best results, brush and agitate. Always use at recommended dilutions, or sensitive paint finishes may be damage. Never allow the product to dry out on paintwork. Sterogen is a high alkaline concentrate , deisgned to remove residues of brake dust and carbon from wheels. Sterogen works quickly and effectively without the use of aggressive acids. Dilute u to 1:6 with water, spray evenly onto wheels, allow 1-2 minutes contact time, agitate if required then rince thoroughly with high pressure water. Sterogen will not damange workshop floors. Waterless Detailer is the ideal product to quickly and effortlessly remove dust, grime, fingerprints and watermarks, leaving a smear and streak-free finish to your vehicle. Waterless Detailer provides brilliant results without water and is safe for use on all surfaces, including paint, glass, plastics and trimwork. Waterless Detailer has also been designed to work as a clay bar lubricant helping to eliminate all surface contamination and stubborn deposits that clings to the paintwork. The combination of these two products gives a great smooth finish to your paintwork, glass and wheels. Increasing the depth of shine when waxing or polishing. Apply directly to the surface by using a clean wash sponge or microfiber cloth. Buff dry with a clean microfiber cloth. For best result use neat for a high-gloss finish, or dilute up to 1:10 with water for a more natural sheen. Spraywax is a high quality polish designed to offer the ultimate in speed, convenience and ease of application. As its name suggests, Spraywax is formulated for spray application. It’s easy buff formula speeds up car preparation and reduces waste, saving time and money. Spraywax provides a sleek, even, smear free finish to the paintwork and unlike many spray products is durable and weather resistant. The ease and speed with which Spraywax can be applied is well suited to high throughput sites. It is also excellent for rejuvenating showroom cars. Excellent for rejuvenating showroom cars. Spray lightly onto clean paint; wipe evenly over the panel and buff to reveal a deep even shine. To avoid spray drift when working outside in windy conditions, simply spray into a soft clean cloth; wipe over the panel and buff dry. Suitable for use on new and used cars. Fresh Linen Sheen provides the users with a multi-purpose dry finish silicone spray with high impact fresh linen fragrance. Fresh Linen Sheen will restore the colour and lustre of interior trims and other automotive rubber and plastic components. Sheen aerosols are also available in a range of fresh fragrances including, Citrus, Cranberry and Eau de Cologne, coupling exceptional finish with long lasting in car freshness. Dry finish won’t attract dust. Suitable for use on interior plastic and vinyl trim. Hold can 6-9 inches from surface, spray evenly and polish using a clean lint free cloth. Ventilate area well after use. Eau de Cologne provides the users with a multi-purpose dry finish silicone spray with high impact Eau de Cologne fragrance featuring an energising blend of crisp apple, warm frankincense, comforting vanilla and bubinga wood. Eau de Cologne Sheen will restore the colour and lustre of interior trims and other automotive rubber and plastic components. Sheen aerosols are also available in a range of fresh fragrances including, Cranberry, Fresh Linen and Citrus, coupling exceptional finish with long lasting in car freshness. Citrus Sheen provides the users with a multi-purpose dry finish silicone spray with high impact citrus fragrance. Citrus Sheen will restore the colour and lustre of interior trims and other automotive rubber and plastic components. Sheen aerosols are also available in a range of fresh fragrances including, Cranberry, Fresh Linen and Eau de Cologne, coupling exceptional finish with long lasting in car freshness. Black Dye provides an ‘as new’ appearance, the fast drying solvent spirit based dye effective for treatment for worn carpets and mats. Black dye has been specifically formulated for renovating faded carpets, mats and rubber; quickly and easily. Creates a permanent, yet flexible coating. Ensure surface is clean and dry. Apply product using a brush or spray. Leave to touch dry. It is advisable to test on a small inconspicuous area first to check colour match. Ensure gloves are worn during use. Terminex is a combined cleaner, viricide and broad-spectrum bactericide making it an essential for good infection control cleaning routines. It is proven effective against a wide range of bacteria. Terminex can also be used on potential sources of infection prior to deep cleaning. Terminex can be used safely, undiluted, on fabric surfaces without bleaching or degrading the material. This allows Terminex to be used for routine cleaning, fabric surfaces and for treatment of fabric following contamination with sickness, incontinence or other body fluids and hard surfaces. Non-bleaching and non caustic formula, ideal for use on soft metals, galvanised and most hard surfaces and fabrics. Diltue the product 1:9 with water and apply with spray, mop or cloth. Rinse away residues with clean water or by using a mop/cloth. Spray Terminex undiluted onto the effected area. Allow a 10-minute contact time and then absorb or scrape up excess material. Re-apply Terminex to the effect area and allow a further 10-minutes contact time prior to rinsing. Ideally vacuum away residues with water extraction equipment. Dispose of any high risk material appropriately. One Shot is a single application odour neutraliser and freshener for air conditioning and ventilation systems. This system freshener is designed to provide a fast and simple solution to stale odours arising from ventilation systems. In addition the single shot product provides total freshness to the vehicle interior, so whether customer needs to freshen the air conditioner system or simply deal with in car odours from smoking, pets or food, One Shot system freshener provides the answer. Air conditioner systems chill air before it enters the cabin; this chill effect causes condensation inside the air conditioner unit. Which has the benefit of drying the air as well. The moisture this creates inside the unit can cause the build up of dam stale smells particularly if it is use intermittently or after long periods out of use. One Shot system freshener works by filling the cabin with a concentrated freshener and odour neutraliser which is drawn through the air conditioning system, condensing in the chillers to neutralise odours at source, provide instant freshness. In addition the product absorbs into all of the internal fabric of the vehicle to provide long lasting interior freshness. The advantage of this system is that it is quick and easy, requires no tools, and provides total freshness to Air Conditioner systems and vehicle interiors. Dilute the product 1:9 with water and apply with spray, mop or cloth. Rinse away residues with clean water or by using a mop/cloth. Medipal ® 3in1 Disinfectant wipes have been developed in response to the growing need for a single cleaning and disinfectant wipe that is effective against a wider range of pathogens, including spores. The alchohol free wipes are made of extra strong, ultra-low linting wipe material Tritex® and is intended for cleaning and disinfecting non porous hard surfaces. Medipal ® 3in1 Disinfectant wipes are proven to kill most micro organisms such as bacteria, viruses and spores with a contact time as little as 1 minute. Apply the product undiluted via a cloth or hand sprayer. Wipe over the surface of the glass and buff dry with a lint free cloth or absorbent paper to a bright clear finish. Visibly soiled surfaces need to be cleaned before disinfection. Put on any necessary personal protective equipment. Use the wipe flat on the surface, not scrunched. We were founded in the year 1986 in the field of car care products; we were established by sheikh Mohamed al Theban. Our first location was in the heart of the commercial business area in Riyadh.